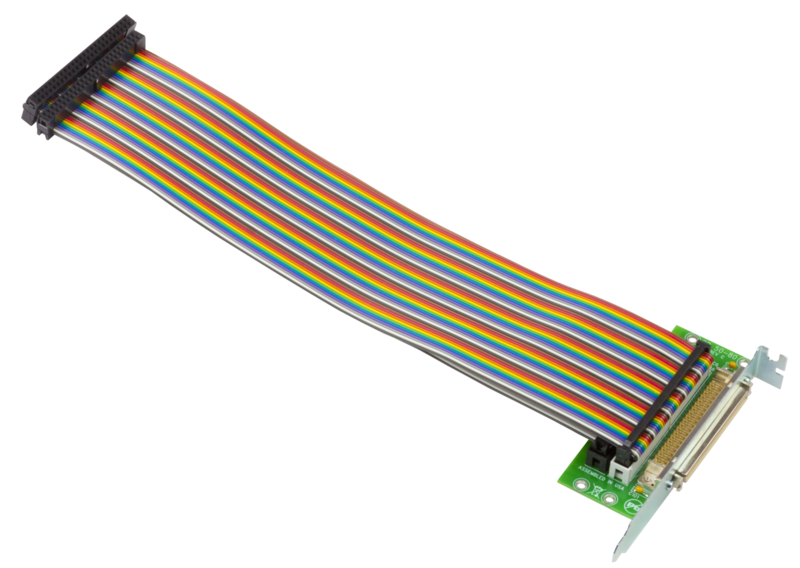 The DMC-42x0 is one of Galil's highest performance standalone motion controller that is designed to be an upgrade option for applications that currently use the prior-generation DMC-2xx0 series motion controllers. 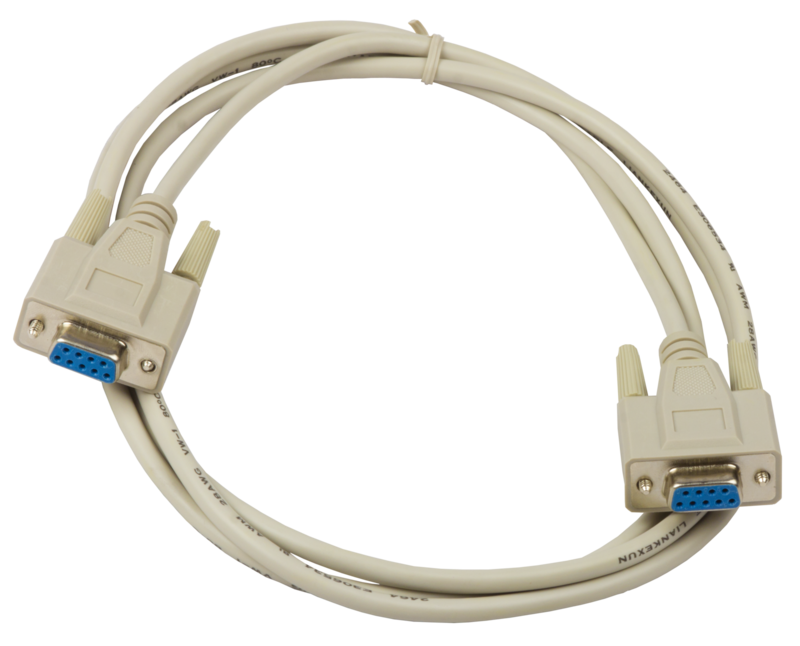 The size, voltage requirements, and connector pinouts of the DMC-42x0 are identical to the DMC-2xx0. The DMC-42x0 belongs to Galil's latest generation motion controller family, which accepts encoder inputs up to 22 MHz, provides servo update rates as high as 32 kHz, and processes commands as fast as 40 microseconds-10 times the speed of prior-generation controllers. 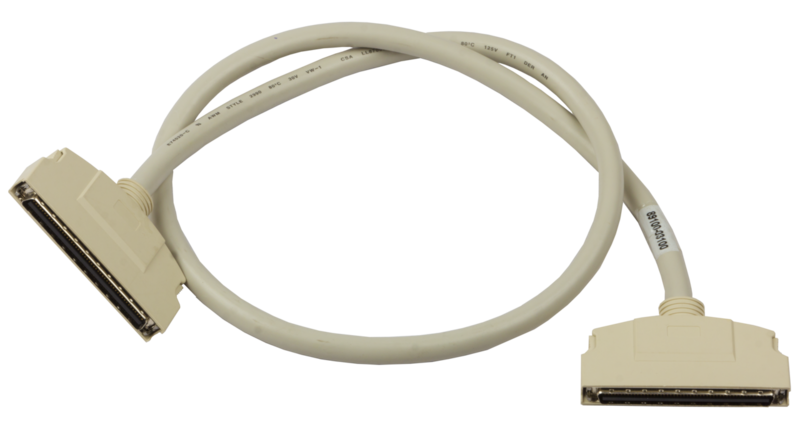 The DMC-42x0 features 10Base-T/100Base-T Ethernet connectivity. The controller is packaged in a compact, rugged enclosure and contains an internal power supply for direct connection to 90-250 V AC. The DMC-42x0 controller accommodates 1- through 8-axis formats and allows control of step or servo motors on any combination of axes. 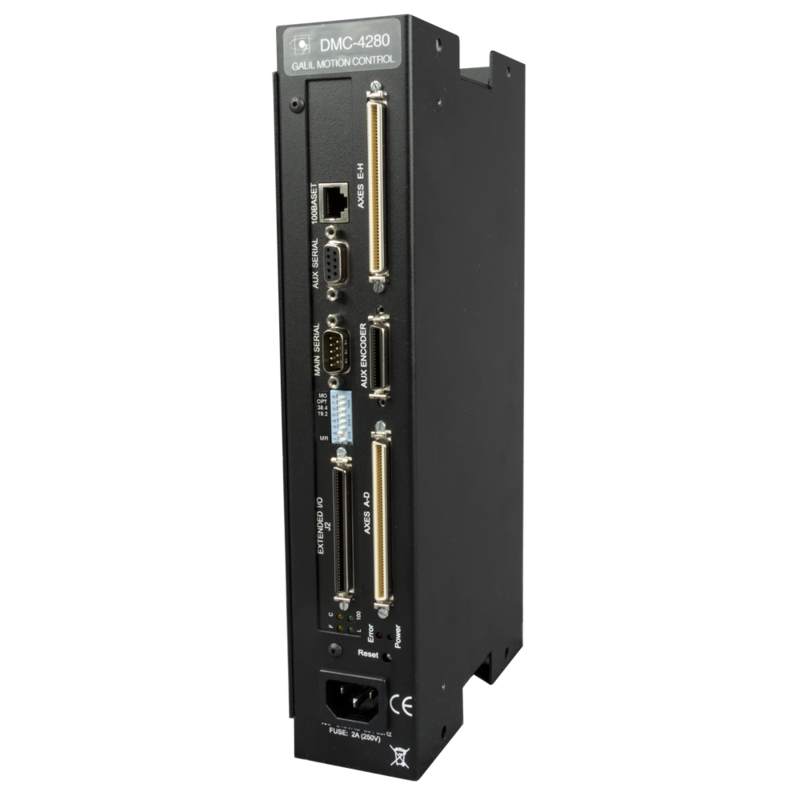 With a powerful RISC processor, the DMC-42x0 controllers provide such advanced features as PID compensation with velocity and acceleration feedforward, program memory with multitasking for simultaneously running eight applications programs, and uncommitted I/O for synchronizing motion with external events. Modes of motion include point-to-point positioning, position tracking, jogging, linear and circular interpolation, contouring, electronic gearing and ecam. Like all Galil controllers, programming the DMC-42x0 is simplified with two-letter, intuitive commands and a full set of software tools such as GDK for servo tuning and analysis. Packaged controller in 1 through 8 axis versions: DMC-42x0 where x=1,2,3,4,5,6,7,8 axes. 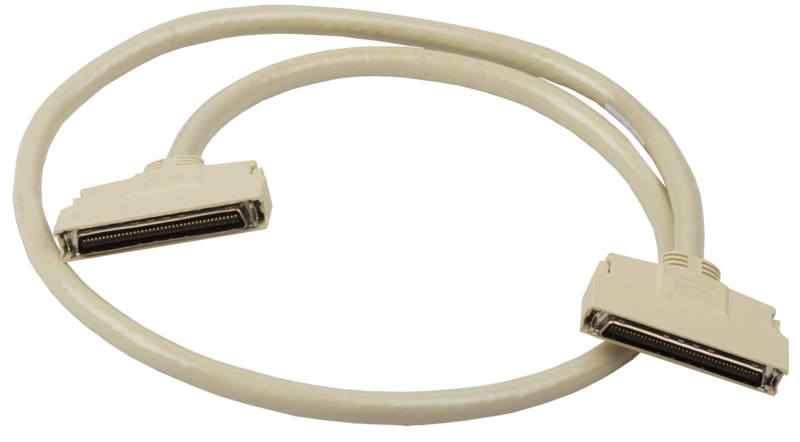 10/100 Base-T Ethernet port with Auto MDIX; (2) RS232 ports up to 115 kbaud. 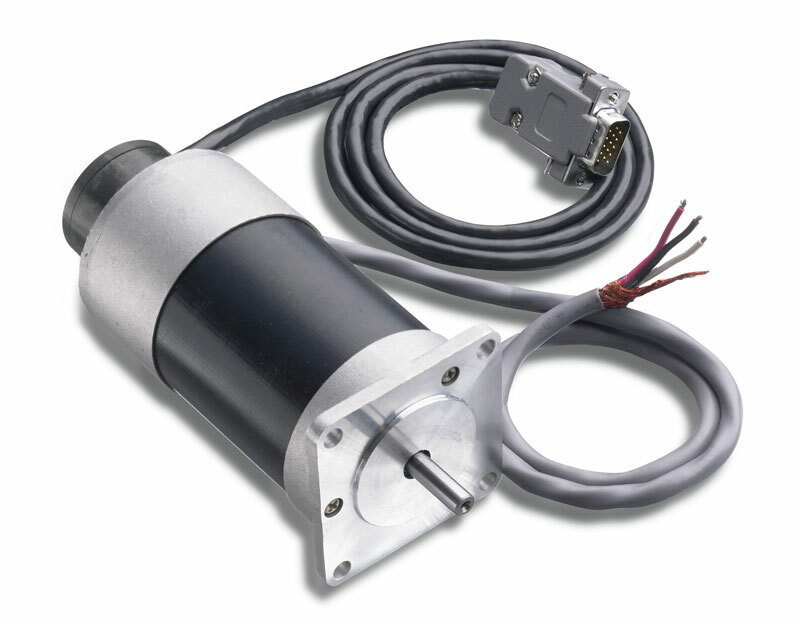 User-configurable for stepper or servo motors on any combination of axes. Connect to external drives using various breakout modules. Accepts up to 22 MHz encoder frequencies for servos; Outputs up to 6 MHz for steppers. Sample times as low as 31 microseconds per axis; fast command processing. 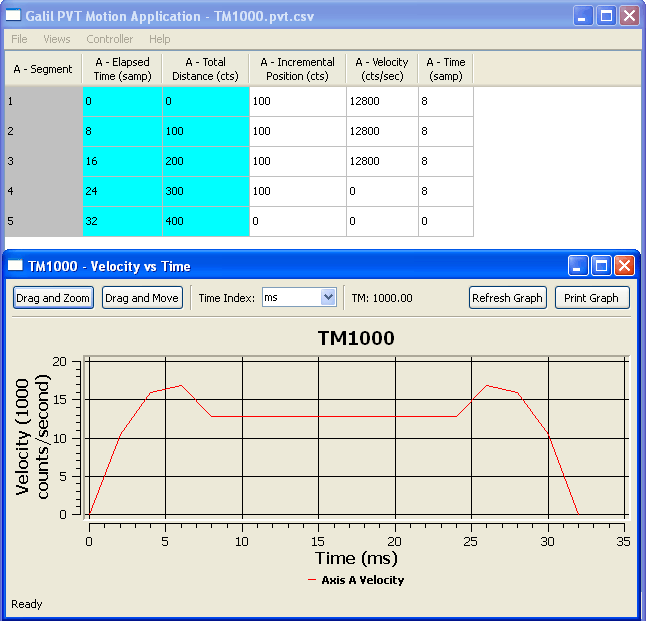 Advanced PID compensation with velocity and acceleration feedforward, integration limits, notch filter and low-pass filter. Modes of motion include jogging, point-to-point positioning, position tracking, contouring, linear and circular interpolation, electronic gearing and ECAM. Ellipse scaling, slow-down around corners, infinite segment feed and feedrate override. 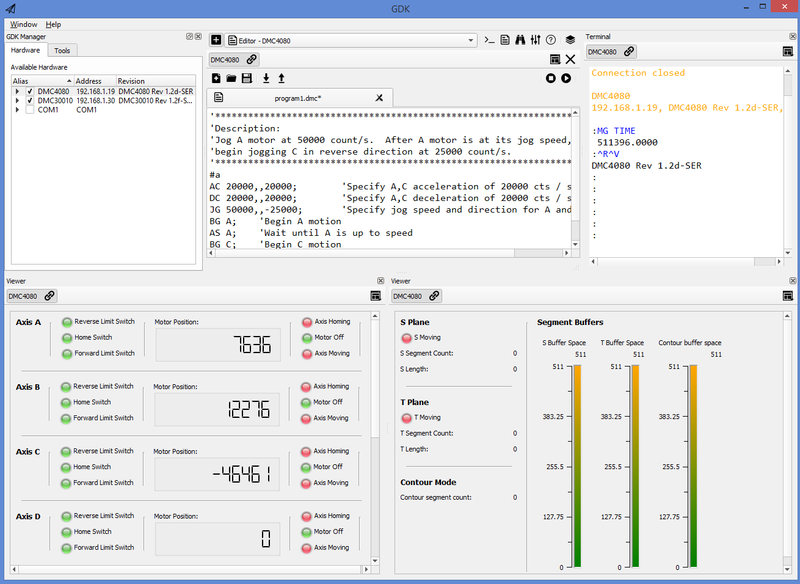 Multitasking for concurrent execution of up to eight application programs. Ultra-fast command processing. Expanded, non-volatile memory for application programs, variables and arrays. Dual encoders for every servo axis. Optically isolated home input and forward and reverse limits for every axis. 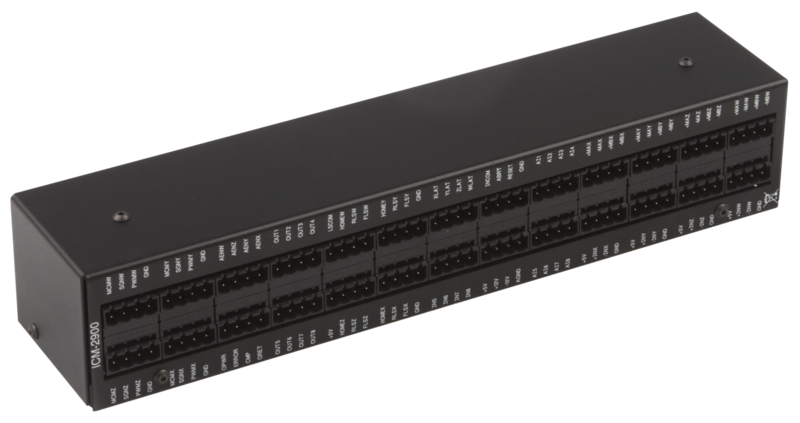 1- through 4-axis: 8 inputs and 8 outputs. 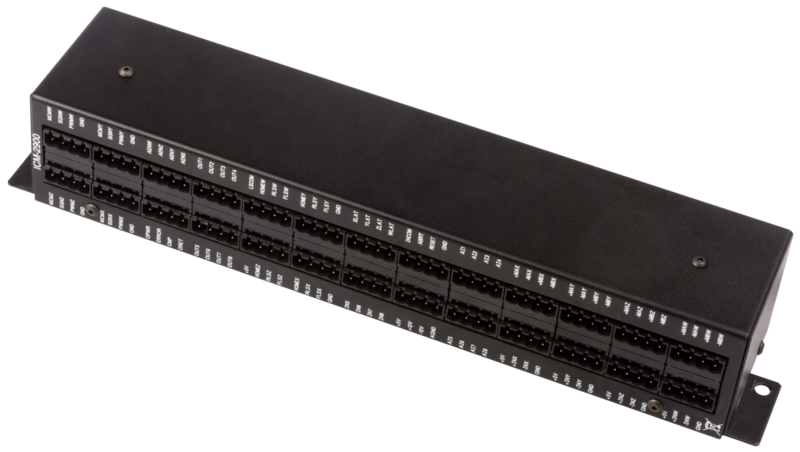 5- through 8-axis: 16 inputs and 16 outputs. High speed position latch and output compare. Communication drivers for Windows, Linux, and OS X for Mac. 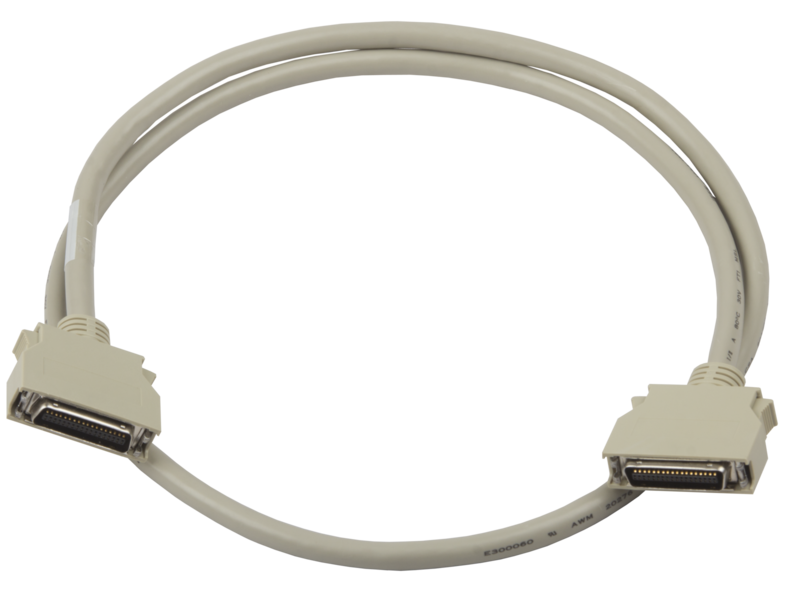 High-density shielded cables and optical isolation for noise immunity. 12.1" x 2.2" x 6.3" metal enclosure; Accepts 90-250V AC. Custom hardware and firmware options available. GDK | Galil Design Kit Application development, servo tuning, analysis, and backup.